This year, 567 local runners have registered for Boston, but not all will race. Bethesda’s Ben Beach will be going for his 52nd Boston finish- extending his own record. In 2018, Graham Tribble (Arlington, 2:30:06), Sean Kinne (D.C., 2:37:23), Eric Schuler (Laurel, 2:41:31), Breana Avalos (D.C., 3:03:42) Erin Kelman (Germantown, 3:05:33) and Christie Wetzel (Falls Church, 3:08:49) led local finishers. Kelman and Wetzel are registered this year. Despite the conditions, 96.9 percent of D.C. runners who started the race finished, as did 95.5 percent of Maryland runners and 96.7 percent of Virginia runners, though the latter two statistics cover those entire states. He have the complete list of entrants at the bottom here. Lisa Reichmann and Julie Sapper recorded more than a dozen podcasts leading up to the 2019 Boston Marathon with a variety of guests. Disciples of the late Mike Broderick are still meeting up in Bethesda to train for Boston, and other marathons. The ER physician’s assistant from Clifton is hoping to break a 15-year-old PR. Has the fixation on hitting a BQ gone too far for some runners? 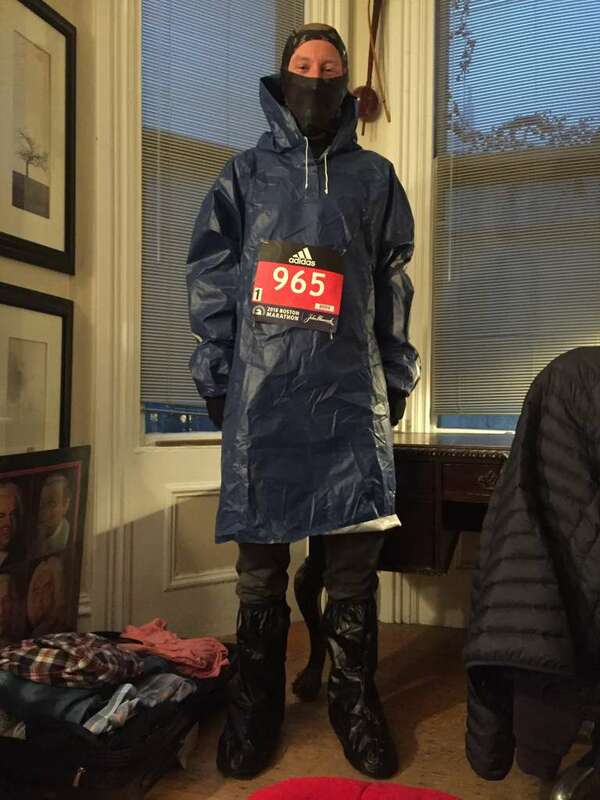 A 26.2-mile runway – what are you wearing for Boston? A few local runners shared their race-time wardrobe with RunWashington. Cindy and Katie Walls enjoyed some mother-daughter bonding at the 2018 Boston Marathon, soaking wet and freezing.